Let’s set out our stall early. When we use the word fun, what do we mean? Play and games are certainly in that category, but at the same time, many people describe active experiences as ‘fun’, but they don’t involve smiles and laughter like play. Obstacle races, competitive ball sports and the like don’t have a lot of laughter during the events and in fact, you often see some serious anguish etched into the faces of participants. However, ask them what they do for fun and it’s those very things. Therefore, fun means different things to different people. Fun isn’t play. It’s something bigger: enjoyment. This is a far more adequate term when examining this area. I love the concept that enjoyment is a ‘right’ which we should all enjoy. Besides this, you can see it’s about intrinsic benefit. It has meaning to us on a deep level, beyond the physical. In fact, it’s almost completely mental and emotional. Imagine that; improved fitness and appearance were less relevant to continuation of exercise than the simple act of enjoying the activity. It brings into focus a huge lesson. It’s great that we continue to learn as much as possible about the mechanics of exercise, but if our clients don’t enjoy our sessions, our longevity in this industry is severely curtailed. It’s all very well identifying this point, but we then need to know the process of delivering enjoyment. Well, my formula for creating what I call ‘positive exercise’ has four facets essential in a client experience – readiness, movement personality, exercise feedback and social connection. Luckily, PTA Global has created simple tools for us to use in each of these departments, and as you’ll see, they make a powerful set of ingredients. Below you’ll see the readiness form that is laminated and on the wall of my studio from my friends at In2great Fitness & Wellness. It’s adapted from PTA Global’s Daily Readiness Observation. Can you see how simple it is? Eight points to bring out ALL the elements affecting your client’s readiness to exercise that day. Not a casual “how do you feel?” or “ready for a big session?”, but real, specific and directed information on the mental, emotional and physical factors affecting each client’s ability to train at intensity. How can anyone enjoy a session if they score a 2 and we train them like they’re an 8? So, step one in delivering a fun session: understand their readiness. Check out the simplified version of the ‘Mo-style’ here. 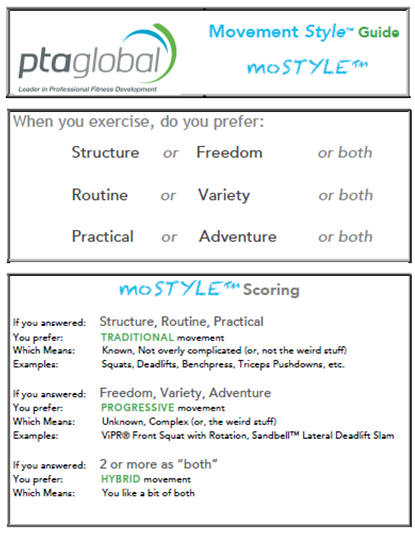 PTA Global identified there were different movement personalities and it was vital to know your client’s movement style if you were to have any chance of satisfying their exercise needs. As you can see, the questions will lead you to understand your client as a progressive mover, a traditional mover or someone who enjoys some from each category, a hybrid mover. 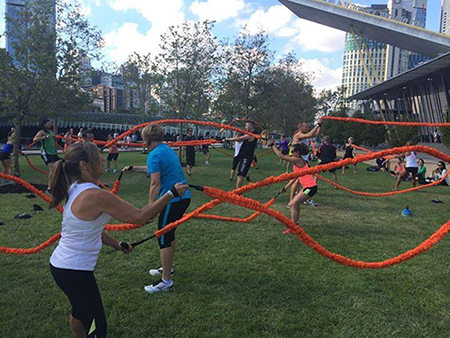 Give a traditional mover a complex ViPR drill, creative balloon game or anything else requiring them to constantly move in ways that are unfamiliar, unstructured, unknown and unpredictable, well, you might as well say goodbye to them right now. Conversely, unless you give a progressive exactly these things, you’ll lose them! Even a hybrid mover, who likes both styles, can be lost if all you do is solely progressive or solely traditional. 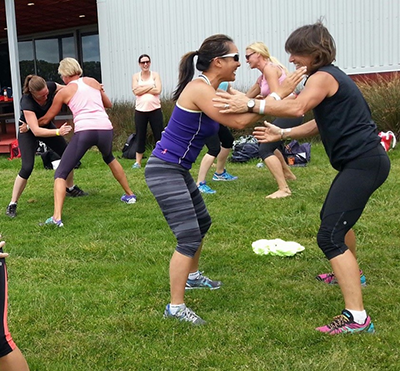 So, step two in delivering a fun session: train your client in their movement style. Follow the feedback from your client – they just gave you the answer! This is how we “physically match and emotionally attach”, as PTA Global would say, our clients to their exercise. Have them involved in the process of increasing enjoyment. It’s not cheating to ask your client what they like and adapt accordingly. It’s intelligent training. So, step three: further adapt to your client’s exercise preferences using their feedback. So step four: create opportunities for social connection. Don’t force it, but make it ‘available’ to your clients. I know some of my former clients remain friends in different countries around the world. They made their initial connection through me. It’s something of which I’m very proud. Having outlined the path to fun and why you should take it seriously, through readiness, movement style, client feedback and social connection, I think it’s also very cool that there is one final advantage of taking this on board. The fitness professional, yes YOU, have more fun too! 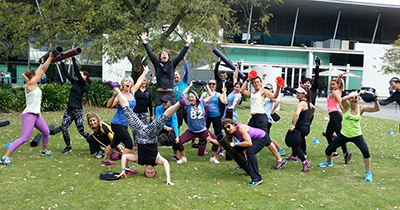 It’s immensely enjoyable seeing and feeling the positivity radiate from your clients when they enjoy their exercise experience with you so much. We feel the same energy we help create. This is a win-win like no other. Go on, enjoy yourself! Raedeke, T. (2007). The relationship between enjoyment and affective responses to exercise. Journal of Applied Sport Psychology, 19(1), 105-115. Wankel, L.M. (1985). Personal and situational factors affecting exercise involvement: The importance of enjoyment. Research Quarterly for Exercise and Sport, 56, (3), 275-282. Nielsen, G., et al. (2014). Health promotion:Tthe impacts of beliefs of health benefits, social relations and enjoyment on exercise continuation. Scandinavian Journal of Medicine & Science in Sports, Suppl 1,66-75. Ryan, R.M. (1997). 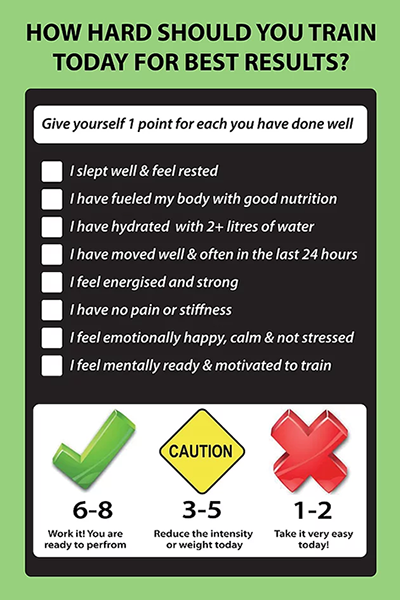 Intrinsic motivation and exercise adherence. International Journal of Sports Psychology, 28,335-354. John Polley (JP) is the founder of BE FREE movement lifestyle wellness in North Beach, where he specialises in helping people move as effectively as possible. His client base stretches from people with previously debilitating conditions like osteoarthritis, through to professional sports people. His methods are similarly wide ranging, from hands on bodywork following the principles of the myofascial lines, through to complex and challenging fitness training techniques, all designed individually for each client’s needs. His mantra is “train or treat the human being, not the human body”.